We've got great news for 2016. FPE Automation is proud to announce that we will be offering you more than just the Cognex ID line. Our partnership with Cognex has expanded and now includes their machine vision products as well as their ID readers, DataMan products, software and their new In-sight® 2000 series vision sensors. Effective, January 4, 2016, FPE Automation is your source for all Cognex products in the entire northern portion of Illinois, as well as the quad cities, Iowa region. It's an exciting time for both companies. Cognex is launching new and innovative products that will deliver instant improvements to your company's manufacturing process, enabling products to be made at higher speed, without defects and at lower cost. We have enjoyed working with you, and wish you the very best this season and in the new year. FPE will be closed Thursday and Friday, December 24 and 25, and Friday, January 1, 2016. FPE Automation | Providing solutions for over 50 years. Click here to download a PDF copy of our full line card. 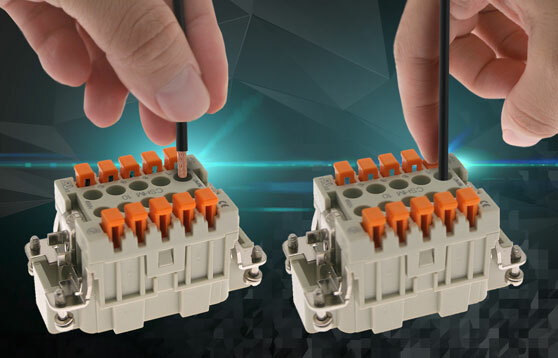 Mencom CSH Series "SQUICH" spring terminal rectangular connectors offer ease of use and cost savings on any harsh manufacturing floors and rugged industrial environments by providing quick-connect solutions for a variety of production machinery. Click for more details. FPE is a proud supplier of Mencom products. Why you would want to be a Sales Engineer working for FPE Automation? The Automation Revolution is upon us. More manufacturers will be turning to Automation in the next 5 years than ever before. More customers will be focusing on optimizing their current equipment rather than investing in new machinery. This is the future. FPE Automation gets it. We have positioned ourselves to be the lead supplier of automation solutions in our territory. We have handpicked the best support people in the industry to assist our sales force. We have aligned ourselves with the best suppliers who are solution and technology-focused. FPE Automation has ownership involvement in all aspects of our business. We are focused on taking care of our clients and more importantly finding new ones. Are you the right person for FPE Automation? Do you have mechanical and electrical engineering knowledge? Sales experience is a must. Are you motivated to develop strong relationships with customers, our suppliers and employees? If so, we want to talk to you. Is FPE Automation right for you? It is, if you want to work for a company that stands behind you and gives you access to the owners and top management to help you win. It is, of course, if you want to grow financially. FPE Automation is looking for people who have the ability to continually put themselves and their organization in a position to win. You’ll have dozens of people behind you to help you make that happen. We are currently looking for a handful of the right people to join our company, and make it the last stop in your career. Contact FPE for more information / pricing. Lutze designs and manufactures control products for factory automation. Contact FPE for a price quote. 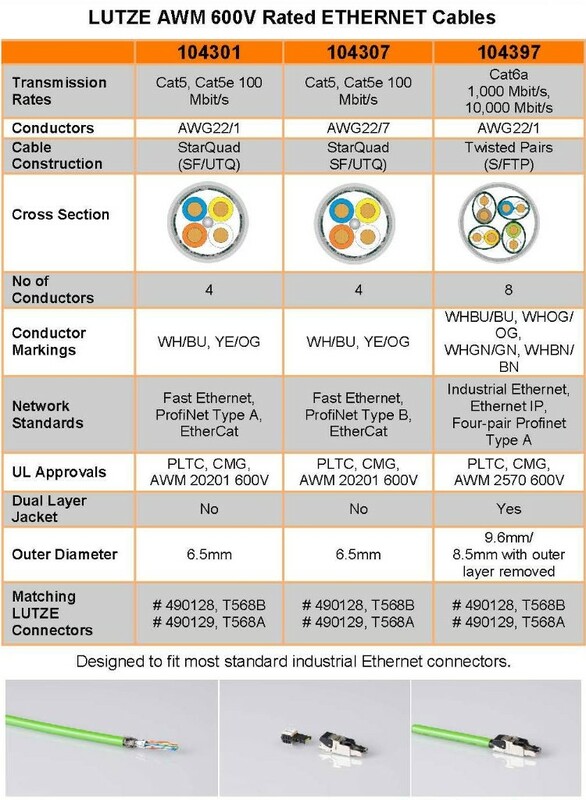 Cables are designed within the Ethernet standards and fit most standard industrial grade connectors, shielded for EMC compatibility and specifically designed for industrial environments. Want more information? Contact FPE Automation. FPE Automation is an award-winning supplier of Piab products. We're pleased to bring you this informative video and other content, all provided by Piab. In this video you can see a COAX® cartridge MINI Di16-2 handling corrugated board. The new COAX® cartridge MINI Di16-2 is ideal for applications where there is dust or dirt present. The COAX® cartridge MINI Di16-2 is ideal for Piab's VGS™3010 vacuum gripper system. If you have concerns about using COAX® vacuum ejectors in a dusty industrial setting. Learn more how to choose the right equipment. QC Industries redesigns cleated belts for conveyors, including their popular HydroClean sanitary series. QC Industries has upgraded the design of their cleated belts. The new cleats have thicker walls that are stronger and less likely to bend under the weight of product. They feature a rounded top edge and a base that's not flared but maintains the same weld strength as our previous cleats. These cleats are available now in the Conveyor Configurator. The new cleats are available in 1/2", 1", 2" and 3" heights (our existing 5mm square cleat is also still available). They will be welded during the manufacturing process to either MAA or MAE base belts depending on the type of conveyor. Industrial Series conveyors use MAA material, while Automation Series conveyors use MAE or MVE (MAE with a V-Guide added). Sanitary Series conveyors use the MVE base material. Start configuring a cleated conveyor today! Old cleats may still be ordered on replacement belts by typing the part number into the Conveyor Configurator's "Part Search" option. At this time, the new cleats are not available on AS40Z conveyors, 125Z Series conveyors or Corrugated Sidewall belts. Piab DURAFLEX® Suction Cups: Do you need a faster, more accurate robot? Do you need a faster, more accurate robot? Single bellows DURAFLEX® suction cup offers improved stability at higher speeds. Piab introduces a new addition to its range of dual durometer DURAFLEX® suction cups that promises to speed up robots and improve productivity. Designed with a single bellows the new DURAFLEX® cup (10-110 mm) stays more stable when in motion, offering users the opportunity to run their robots or production lines at higher speeds, whilst maintaining a very high level of accuracy and precision. DURAFLEX® suction cups combine firm bellows with soft, flexible lips made from a specially developed material that features the elasticity of rubber and wear resistance of polyurethane, making them particularly suitable for uneven and porous surfaces. The material's durability and elastic memory increase the longevity of cups, hence providing a higher return on investment (ROI). The material is mark-free and contains no Paint Wetting Impairment Substances (PWIS). The single bellows version has a lower building height than the multi-bellows cups, making it easier to fit into space-restricted areas, such as robot arms picking from molds. Additionally, the single bellows provides a better lifting force, so each cup is able to lift heavier loads. This means that fewer cups can be deployed for a specific task, reducing the initial investment. Their stable, yet flexible function enables the single bellows cups to meet the specific demands of a variety of industries, where they will improve productivity and reduce downtime. Not only do they reduce the risk of objects being dropped, but they also help reduce investment and energy costs as their excellent sealing properties result in less leakage, allowing the use of smaller vacuum pumps. Ideally suited for the high-speed unloading of parts with textured surfaces, such as molded plastic parts for car interiors, the single bellows cups can help plastics manufacturers to shorten the cycle time for injection molding. The improved stability also offers more precise placement of parts when the cups are used in holding fixtures. This improves the quality of the finished products, and will also result in fewer parts being scrapped, which in turn will improve productivity and reduce costs.